Our 5 star bunny boarding facility has the largest runs in the uk. We are experienced, knowledgable and passionate about all aspects of rabbit health and welfare. We understand that there is no such thing as just a rabbit and we can offer all the love and attention we would our own pets. Tailored to suit each guest, can administer medications and any special care. we pride ourselves in our standards of hygiene, this is vital to the safety of all rabbits here , so we do not share runs or allow contact between bunnies (unless a bonded pair) we disinfect throughly between guests and have hard standing accommodation available. Health is top priority and rabbits will be weighed and throughly checked each and every day for any signs of GI stasis , fly strike and body condition and we wouldn't hesitate to contact our rabbit savvy vet if we thought needed. We are very experienced and confident in giving any medication and syringe feeding where applicable. We keep on site critical care, pain relief and gut stimulants. My bunnies mean the world to me so I understand the worries leaving them with someone and promise you complete piece of mind, I will care for them as they were my own. can not recommend enough. I had two different rescue bunnies both around 2 years old. I tried everything I read, heard and learnt about to try bond them, and it was getting worse..... my little girl was pure evil to the boy it was hard to watch. no one thought they would ever be in the same room together. when in took them to sarah even she had doubts when she saw them together... but OMG this amazing woman finally done it. and I loved the little touch of her sending me videos when they finally did bond it was so cool to see. and now i can even enjoy cuddles with both of them together Sarah I cannot thank you enough. anyone that's stuck and need help please contact this woman even if its for over the phone advice. We were having problems bonding our two bunnies and had almost given up but decided to send them to Celebunnies as a last attempt. Sarah was lovely and after a 8 days they came home best friends. We would highly recommend. Boarded my three rabbits, Pickle , Turnip and Punch with Sara on a recommendation from a friend and was completely at ease leaving them there, was given lots of advice and reassurance, especially impressed with how Sara was able to handle my usually skittish nervous female. Thank you, Laya and bunnies. I bought my two fluff babies separately. My boy Rory first then later my girl Eleanor. A little while after they were both neutered, I started giving them play dates in an attempt to bond them. I tried for quite a while but their relationship didn't improve. They began to fight and scrap which really worried me as I thought I would never be able to bond them. Even though all my efforts at helping them fall in love failed, I wasn't going to give up. I went searching online for someone with professional experience who could help me and my bunnies. I was so happy when I found Sarah at celeb rabbits, boarding and bonding. She was so knowledgeable,helpful and reassuring, and she agreed to take them in and work on bonding them. Sarah kept them for a week. Studying their personalities, even staying up with them through the night! I'm so relieved to be able to say, Eleanor and Rory have been best friends even since. All thanks to Sarah's know how and understanding of rabbit behaviour. Thank you Sarah I would recommend you and your services to anyone. I was at my wits end with my two boys who I adopted from pets at home, days after we got them they started fighting and I had no option to keep them apart. I followed all the advice and nothing seemed to be working so I contacted Sarah's bonding service and it was the best decision I could have made. My boys came home after 7 days and they couldn't be happier. Run by a lady who knows a lot about rabbits and is able to give good health advise and I'm very happy leaving our bunnies here for any time we are away. Bobywas taken to the vet last time which we were great Sul for and his teeth sorted. I used Sarah's bonding service when my bunnies fell out and fought after being apart for a few days. Sarah was really helpful over the phone and then took my bunnies in and they bonded straight away. I also used the boarding service for a week and I came back to 2 very happy bunnies. Sarah is a natural with rabbits and very helpful. Lovely lady, had so much trouble with bonding my rabbits took them for under a week and they came back bonded so happy with what she done. Would recommend anyone. Sarah was extremely knowledgeable and caring about rabbits. We had every confidence in leaving our two bunnies with her, and would not hesitate to recommend her boarding service to other pet-owners. Lola and Bailey had a lovely stay at Celebunnies. They were looked after well; all the bunnies here are clearly loved! We have boarded our two rabbits with Sarah six times in the last year. We think they really enjoy themselves and Sarah spoils them rotten. She is very knowledgeable about all aspects of rabbit care and we have no hesitation in recommending Celebunnies for bunny vacations. Dylan and Blossom had a wonderful time staying at Celebunnies and I had peace of mind that they were being well cared for. I would not hesitate in recommending Celebunnies and would use them again. I am so delighted, I now have somewhere who my babies can stay with whilst I am on holiday. The facilities are fabulous but I know they will be in safe hands and well cared for by Sarah at CELEBUNNIES total confidence and piece of mind. Highly recommended, I wouldn't leave Topsy anywhere else. Thanks again Celebunnies. Can't thank you enough for everything, Sarah has a deep understanding of how to care for rabbits and I would highly recommend Celebunnies to anyone. Really a wonderful place for any bunny to stay. Our bunnies stayed at Celebunnies for a week and had a super time. Sarah really looked after our babies which made it far easier to go away and have peace of mind. Also it's reassuring that Sarah knows so much about rabbits, that she can spot if something doesn't seem right, which again allows peace of mind. Your bunnies will have a lovely time with Sarah and be very cared for. Worth every single penny, the facilities are second to none but Sarah is a very knowledgable rabbit enthusiast and the passion she has towards rabbits and caring for them is incredible. I am so grateful for all the advice and help and advice and now phone Sarah instead of my vet. Would highly recommend to anyone. Our two Rabs, Toffee and Cupcake, stayed with Sarah for two weeks during August. If rabbits could talk, I am 100% sure that they would have refused to come home with me. Sarah really cares for each and every rabbit that lodges with her. She has an in-depth knowledge of rabbit welfare and a genuine love for those in her care. Our rabbits were returned to us in better condition than when they arrived at CelebBunnies. Nails clipped and coats groomed (Toffee loves to moult), I nearly didn't recognise them!! All this, coupled with a set up that allows for so much outdoor space for the rabbits to move around, means that I will never want or need to look anywhere else. Thank you Sarah, you are a superstar!! Excellent rabbit boarding...someone who knows bunnies and knows how to look after them properly. Would highly recommend this boarder to anyone looking for someone to trust with their beloved pet. Will definitely use again. We left our rabbit for 10 days at Celebunnies, she had a great time. We were very impressed with the photos and videos Sarah posted of her, this helped us to feel more relaxed knowing she was being well cared for. Sarah is very passionate about all bunnies and you can guaranteed they will be well looked after. Booked in again for our next trip. Muffin and Willow stayed with Sarah and I felt very comfortable leaving them, in the knowledge they would be well cared for and loved. they were very content and happy when we collected them and I will certainly use Sarah again. I was really apprehensive about leaving Boo as I have never left her with anyone other than family before. I was really happy when I arrived with her at Celeb Bunnies. Sarah was so reassuring and understood my anxiety. She certainly knows her stuff and was happy to accommodate Boos every need. I was also even more reassured whilst away, to have regular updates and pictures/videos of Boo. I could see that Boo was really looked after and happy when I came to pick her up. With out a doubt I would use this facility again, couldnâ€™t have been happier, Definitely a 5*Bunny Resort! I think that Sarah hutches are big enough for any rabbits and big runs as well.Sarah was very helpful with my rabbit Fluffy was very happy when we brought him home. I would defiantly take fluffy here again and highly recommend it to anybody else. Honey spent two vacation with celebunnies..after a traumatic car ride she settled in. We felt a bit anxious to start with but need not have been. We received a picuture of Honey in her temp appartment [cage] looking chilled. Was fit healthy and happy when we collected her. Thank you will use you again on our next trip. This has to be the most incredible set up for bunnies I've seen ever. That aside the standards were exceptionally high and my bunnies could not have been in better hands. Sarah was upfront, confident and very helpful to me even after bill & bow were back home. Rate five only as that is the highest. A winner. My bunny Muffin stayed at Celebunnies for a week and was well looked after, Sarah has a genuine passion for bunnies and that means that she spends quality time with them rather than just simply feeding and cleaning them. Muffin had a nice little holiday! So nice that we have finally found you to take care of our baby.he has never been as happy as he was this year, thanks Sarah for taking such super care of him and for giving us back our freedom to go away. We will see you again in February. I left our big bunny Dexter with Sarah for 2 weeks and I can honestly say he had is own little holiday, it was home from home for him, he now has an adoptive 2nd family. Sarah is so naturally caring and the bunnies well being is her main aim. Dexter is a house bunny as well as an outdoor bunny (depending on weather) and Sarah gets to know the bunnies and caters for all there individual needs and requirements. I will be using Celebunnies again in the future and would recommend Sarah 100%. Beautiful set up and great care, sarah was very helpful and very much attention was given, I found out lots about my two. Thank you for the pictures and see you in August. 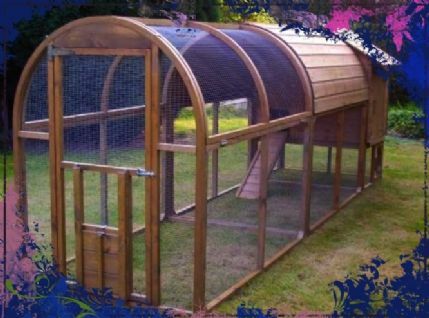 we offer luxury 5 star rabbit boarding all year round, we welcome viewing appointments.